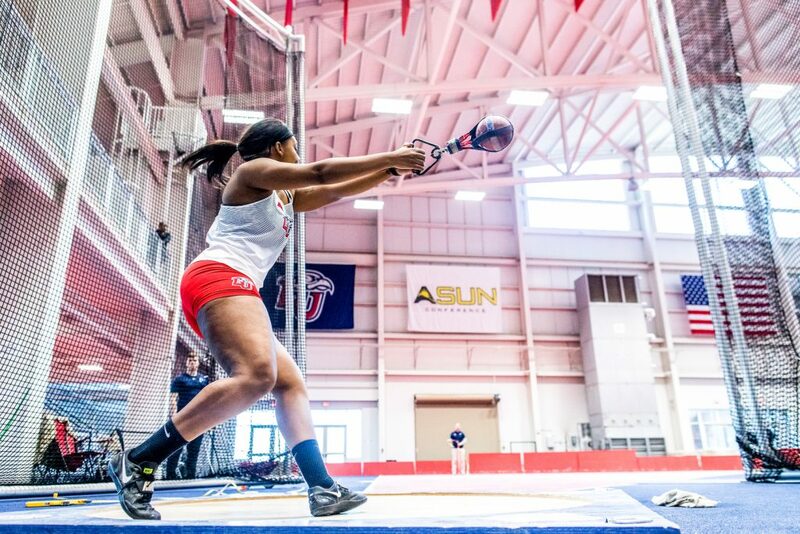 Liberty Track and Field flew out of the blocks at last weekend’s Liberty Kickoff, winning 12 events in a dominant display at the Indoor Track Complex against their new ASUN opposition. In the Flames first meet this season, on Jan. 25-26, the men’s and women’s teams laid down a statement performance, firmly establishing themselves as strong contenders for winning the ASUN championship this year. Colombian Olympian and Liberty senior Alejandro Perlaza Zapata, last year’s Big South Outstanding Track Performer, made it clear he will play a crucial role in the team’s efforts this season. Wearing his trademark sunglasses, Perlaza Zapata powered his way to two individual wins in the 200-meter and 500, as well as a team relay win in the 4×400, smashing multiple records in the process. Perlaza Zapata’s 500 win clocked in at 1:01.35, setting not only a new school record, but also, according to Liberty’s website, clocking the world’s fastest time in the event so far in 2019. 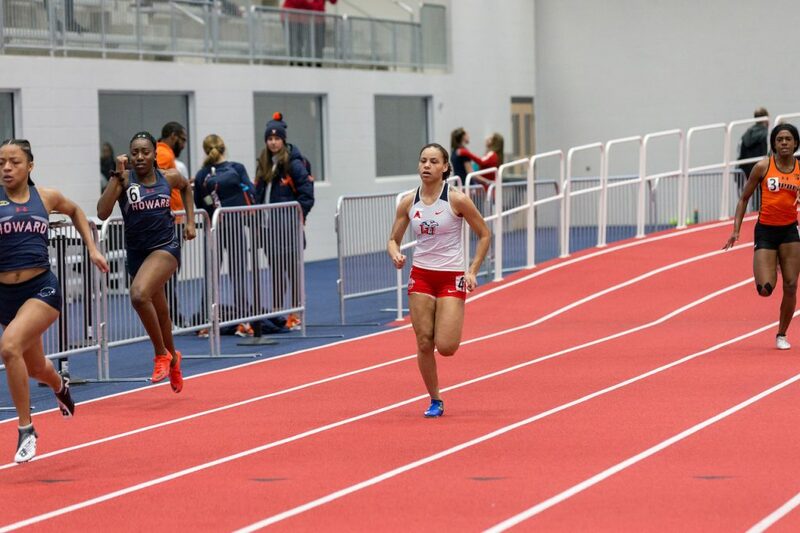 Perlaza Zapata also anchored the relay team’s win (3:11.39), helping take the lead over Hampton University to cap an exciting Saturday night for the Flames. TRACKING — The Flames track and field team are trying to win the ASUN conference in 2019. In a strong day across the board for Liberty track runners, the Lady Flames also recorded a 500 win, with Tanner Ealum and Cortney Dowling going 1-2 and both breaking the previous meet record with times of 1:11.92 and 1:12.31. Senior Michael Todd won another gripping race in the 800, defeating defending ASUN champion Ryan Speer in a neck-and-neck final lap with a time of 1:52.57, as well as helping Perlaza Zapata, Jahquez Durham, and Brad Smalley take home the 4×400 relay. Rounding out Liberty’s track wins, senior Delaney McDowell won the 1,000 at 2:52.70, outpacing her nearest competitor by 3.54 seconds, while Ty’Asia Dansbury won the 400 with a time of 56:02. Dansbury, McDowell, Ealum and Dowling later combined to win the 4×400 relay. Liberty also performed well in the field competitions, recording four wins. Looking towards the February ASUN championship meets, Vaimaona was encouraged by her strong performance last weekend. For Todd, the Liberty Kickoff is just a springboard for the rest of the season.